The presence of harmful bacteria in parenteral drugs or implantable devices can cause inflammatory responses such as fever and, in some cases, may even be fatal. As a result, robust bacterial endotoxin testing (BET) workflows are employed by the pharmaceutical industry to help ensure the production of safe and effective products. These tests enable the detection of endotoxins, the pyrogenic components found in the outer membrane of Gram-negative bacteria. In 1977, the FDA approved the use of the limulus amebocyte lysate (LAL) test in the United States and tachypleus amebocyte lysate (TAL) test in Asia, to replace the rabbit pyrogen test for endotoxin detection in pharmaceuticals and medical devices. These gold-standard tests rely on cells derived from the blood of horseshoe crabs, so-called living fossils whose ancestors date back over 450 million years—200 million years before dinosaurs existed. The horseshoe crab’s amebocyte cells bind to endotoxins, initiating a blood-clotting cascade that includes three inactive enzymes and a clottable protein called coagulogen. The coagulogen proteins stick together to form a clot or gel that may be detected by fluorescence. With a growing focus on the development of innovative biotherapeutics that have a higher risk of endotoxin contamination and the advent of personalized medicine requiring individual drug testing, endotoxin testing workflows are becoming more important than ever. However, relying purely on the horseshoe crab to provide this crucial safety test simply isn’t sustainable. 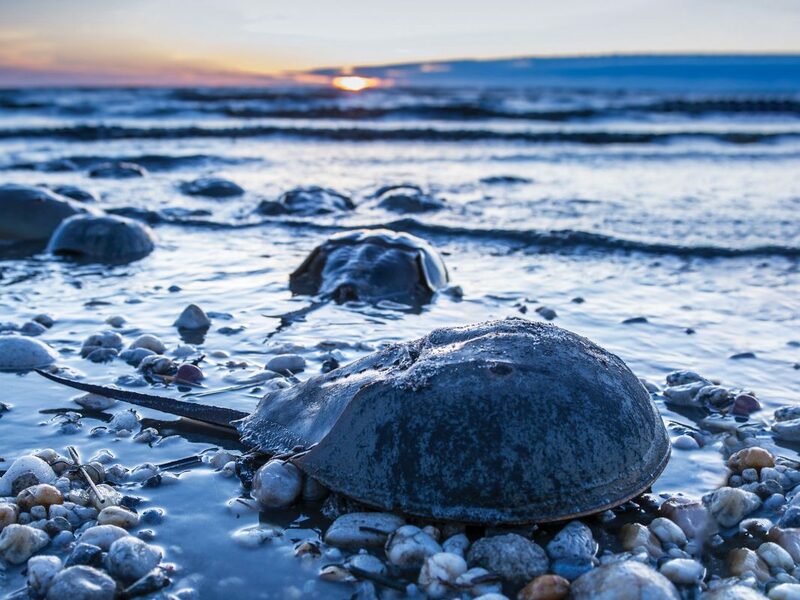 In this article, we consider why protection of the horseshoe crab is so important for our own health, and how the validation of alternative endotoxin testing approaches offers a more sustainable solution. Spanning four distinct species (the North American Limulus polyphemus species and the Asian Tachypleus tridentatus, T. gigas, and Carcinoscorpius rotundicauda species), horseshoe crabs have a fascinating, almost alien-like anatomy, including blue blood, five pairs of legs, a mouth between their legs, and 10 eyes located around their body. They also have a long tail known as a telson. Horseshoe crabs use the telson for steering and to help flip themselves upright when they have been turned upside down. This anatomical feature is important for the survival of horseshoe crabs, which commonly get overturned by high wave action during spawning. Failure to right themselves often results in the death of the animals, either from prolonged exposure to heat and air or from predators such as seabirds who target them for food. However, in addition to natural perils, horseshoe crab populations are increasingly threatened by human activity. Their natural habitat is being degraded by the development of man-made infrastructures such as bulkheads, groins, revetments, and seawalls on U.S. beaches. Horseshoe crabs are also vulnerable to overfishing. Since the 1970’s, the American horseshoe crab has been harvested in substantial numbers (approximately 500,000 annually) for bait in the American eel and conch fisheries. Two of the three Asian species of horseshoe crabs (T. tridentatus and T. gigas) are consumed throughout coastal regions of many Southeast Asian countries. While precise numbers are unknown, estimates suggest it is in the hundreds of thousands annually. While a similar number of horseshoe crabs are harvested each year in Asia, the crabs are not generally returned to the sea afterward. Instead, once the blood has been extracted, their body parts are sold for human consumption, and the shell dried and sold for chitin. Consequently, the populations of the three Asian horseshoe crab species are in decline, a situation which will ultimately lead to a greater reliance on the North American horseshoe crab species. Moreover, if vaccine production continues to grow at current rates (particularly in the Asia-Pacific market), this could place a more significant strain on lysate resources. Additionally, the rise of personalized medicine could necessitate individual product testing on a per use basis. This could put further pressure on the supply of lysate-based assays. If the species numbers were to decline further, it wouldn’t just be an issue for conservationists, but for everyone who is dependent on the use of pharmaceutical products and medical devices. Protection of the global horseshoe crab population is therefore essential for the continued safeguarding of human health. Given the importance of protecting this important species, there are ongoing efforts to develop adaptive-management plans to regulate horseshoe crab harvests. In the United States, the Atlantic States Marine Fisheries Commission regulates the use of horseshoe crabs. However, Asia lacks a coast-wide regulatory body and has minimal in-country harvesting restrictions. Without a centralized governmental body to regulate and enforce harvesting strategies, it is more difficult to institute meaningful change. The nonprofit Ecological Research and Development Group (ERDG) is dedicated to the conservation of all four horseshoe crab species inhabiting the U.S. and Asian waters. It has initiated the Horseshoe Crab Conservation Network and a host of community-building initiatives including the Backyard Stewardship community sanctuaries and Young Voices: Horseshoe Crabs and the Arts Competition. The ERDG also leads campaigns to encourage the use of alternative bait and gear and reduce human consumption. To date, more than 16 miles of prime horseshoe crab spawning habitat in the United States have been protected through these projects. Conservation is also recognized and supported by commercial companies worldwide. An annual Global Endotoxin Testing Summit organized by Swiss pharmaceutical manufacturer Lonza brings together scientists, lab managers, and regulators to discuss pertinent topics in endotoxin testing, such as new regulatory guidelines as well as alternative endotoxin testing approaches. 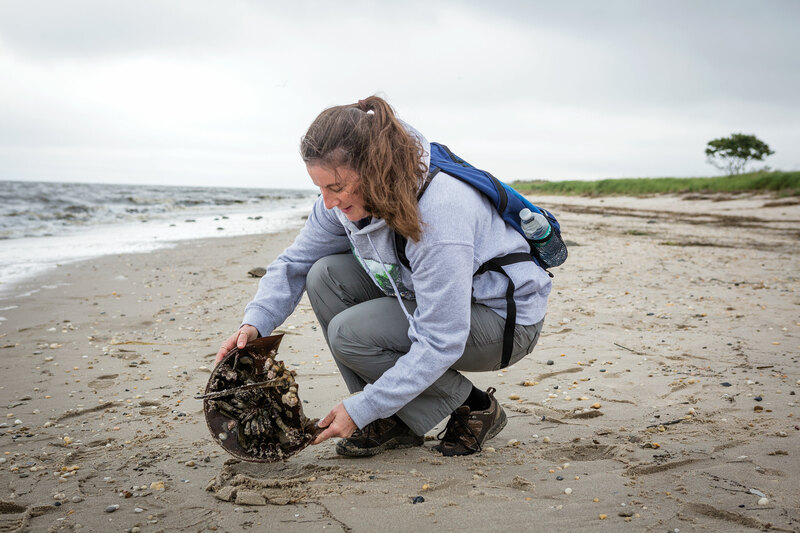 The delegates also get a unique opportunity to experience hands-on conservation work in support of ERDG’s Just Flip ’em!® program, which encourages individuals to turn over stranded horseshoe crabs during spawning season. However, even with these many conservation programs, it is widely accepted that the bleeding of horseshoe crabs is not a sustainable solution for endotoxin testing. Therefore synthetic, recombinant alternatives to animal-based BET testing workflows are needed. One animal-free alternative to LAL, known as the recombinant factor C (rFC) assay (Lonza), has recently been accepted by the FDA, the European Pharmacopeia, and other leading regulatory authorities as an alternative endotoxin testing method. This assay is based on a synthetic equivalent of factor C, which is the first component of the horseshoe crab blood-clotting cascade that is activated in response to endotoxins. The test uses rFC to cleave a fluorogenic substrate and subsequently reveal a measurable fluorescent signal. Data from pharmaceutical companies trialing the test has indicated that the endpoint fluorescence technique using rFC is robust, accurate, and precise, and is equivalent or superior to the LAL method of endotoxin testing for various drug products. Other approaches, such as the monocyte activation test (MAT), an in vitro pyrogen test that measures the cytokine secretion from human blood cells in response to endotoxins and other pyrogenic substances in the test sample, also do not require the use of horseshoe crab blood. Despite the availability of these alternative tests and the robust data obtained, efforts to establish replacements for the gold-standard LAL/TAL assays have proceeded cautiously, as new tests must be validated against previous techniques for existing drugs. However, the addition of these extra validation steps to testing workflows can be achieved in as little as three days. Manufacturers of these alternative tests, such as Lonza, have developed protocols for easy adaption and submission. This will also provide additional regulatory support services, making it simple to submit the details needed to meet pharmacopeia requirements. Over the last 10 years, the global pharmaceutical market has grown considerably and is now worth an estimated $1 trillion, compared to approximately $660 billion in 2006. Much of this growth has been driven by the rise in the number of biotherapeutics that are particularly vulnerable to bacterial endotoxin contamination and rely on robust testing workflows. While strengthening global conservation strategies and boosting awareness will go some way to creating an environment for the horseshoe crab to thrive, validating an alternative endotoxin test that does not rely on this important animal will be key to ensuring a sustainable future for both modern medicine and the horseshoe crab species. Biomedical and pharmaceutical companies appear increasingly willing to devote time and resources to qualify an alternative endotoxin test as regulatory acceptance of other methods grows. It is hoped that the benefits of the alternative tests and the potential for short validation times will encourage large pharmaceutical manufacturers to invest in replacing the current LAL/TAL tests. However, to achieve this, all the relevant stakeholders, including regulatory bodies, pharmaceutical manufacturers, reagent vendors, academic researchers, and conservationists must work together. Robert Porzio (scientific.support@lonza.com) is product manager for endotoxin detection at Lonza.